Putnam-Greene Financial Corporation, a $510 million holding company of four banks in Georgia, US, is modernising its front-to-back office software with Fiserv. Putnam-Greene is implementing Fiserv’s Precision core processing platform and is moving from an in-house set-up to an outsourced environment – for the first time in its history. Chip Benton, president of Putnam-Greene, says the move will help bank staff sleep better at night. The bank has also signed for a range of auxiliary solutions from Fiserv, including for online retail and business banking, CheckFree RXP and CheckFree Small Business for consumer and business bill pay, plus a number of item processing and electronic fund transfer (EFT) solutions. Fiserv notes that a “single-vendor approach can be more appealing to regulators and simplifies regulatory reporting”. Also, integration between the systems will “help speed processes and streamline workflows throughout the four chartered banks”. Benton is complimentary about the level of service the banking group is getting from Fiserv, describing the vendor’s team as “very responsive and helpful”. He adds that during the selection process, Putnam-Greene spoke with several of Fiserv’s clients – and “we heard nothing but good comments about the software and the people”. “This is highly unusual in such a complicated industry,” he observes. 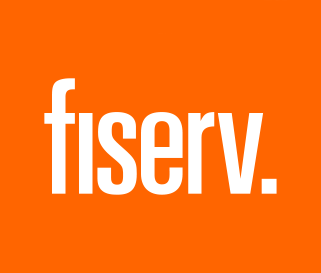 Apple Creek Bank, a $140 million financial institution with six branches in the US state of Ohio, is modernising its technology with Fiserv. The bank will implement the Precision core processing platform, delivered on a hosted basis, plus a host of auxiliary solutions from Fiserv.